LESS THAN HALF of people trust the government, according to a new opinion poll. A poll carried out by Amarách Research for Claire Byrne Live asked over 1,000 adults if they trust the current government. Just under half (44%) said yes, 35% said no and one in five (21%) said they didn’t know. The government came under fire recently after questions were raised about how advertorials in newspapers were presented during the €1.5 million rollout of Project Ireland 2040 (a plan outlining infrastructure and investment goals for the country) . Last week the Ireland edition of The Times reported that regional newspapers were directed to make articles about the plan appear like regular news items, rather than paid-for content. Yesterday, Taoiseach Leo Varadkar admitted that the Strategic Communications Unit (SCU) is distracting from the work of government. 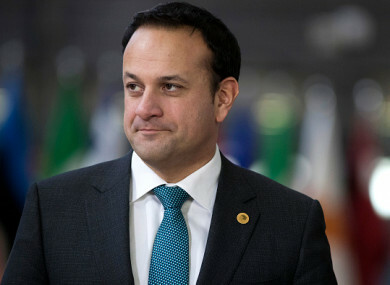 Speaking to RTÉ’s Morning Ireland, Varadkar said the Secretary General at the Department of the Taoiseach was carrying out a review of the operations of the SCU and that the unit may be scrapped. Varadkar said there were issues with how the advertisements were put in place and that it “could have been done better”. I think there are things that could have been done better so I’ve issued very clear instructions as to how things should operate in the future when it comes to any paid-for advertisement from government. Email “Just under half of people trust the government ”. Feedback on “Just under half of people trust the government ”.